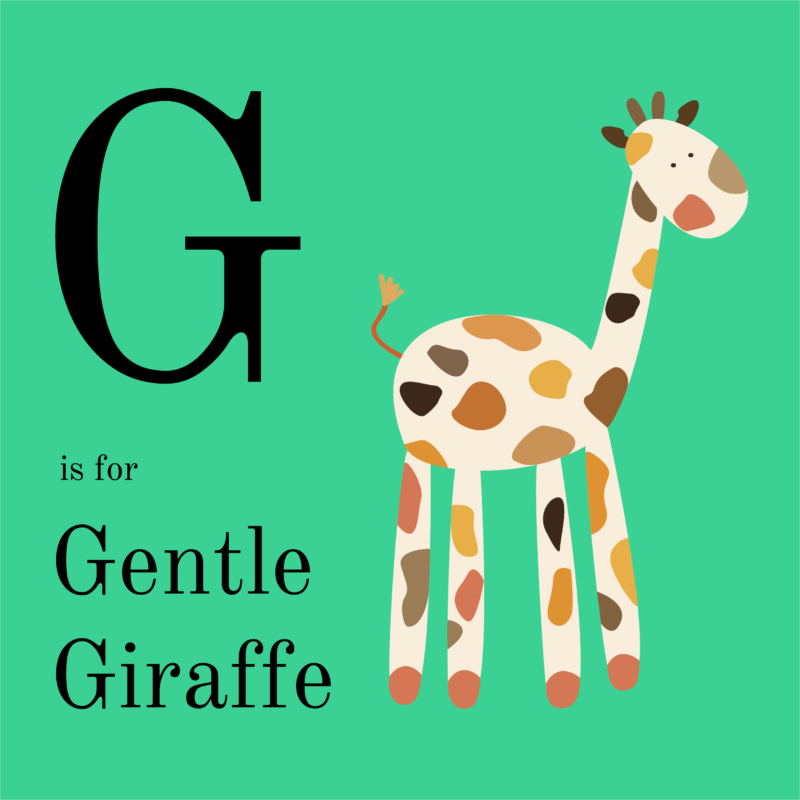 Meet Giselle the gentle giraffe! Of all of Moomoo’s friends, Giselle is the tallest at 15 feet (and still growing!) and uses her long tongue to eat leaves from trees. Her favorite hobby is birdwatching and she can patiently watch for hours as the birds sing and play around her.